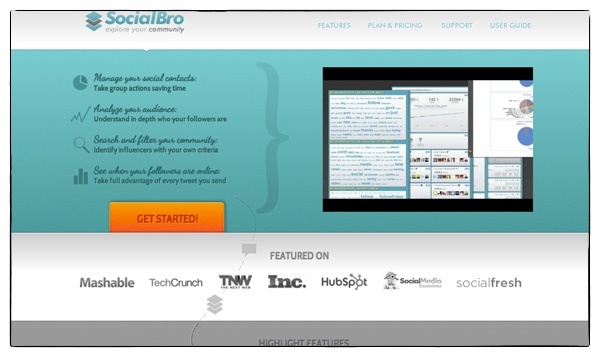 SocialBro is a community management and analytics tool. It offers a 15 day free trial account but is classed as a premium tool for Hootsuite (See plan prices below). SocialBro will monitor your Twitter account and search, filter and view where your followers are from, what language they speak, identify influencers, offer a twitter list management tool, an easy way to follow and unfollow users, an extensive dashboard, plots your community on a world map, gives you some awesome stats like, Language, Time zones, Custom and default avatar, Profiles with web URLs, Profile privacy, Verified users – just to name a few, whats the best time to tweet and tag clouds. 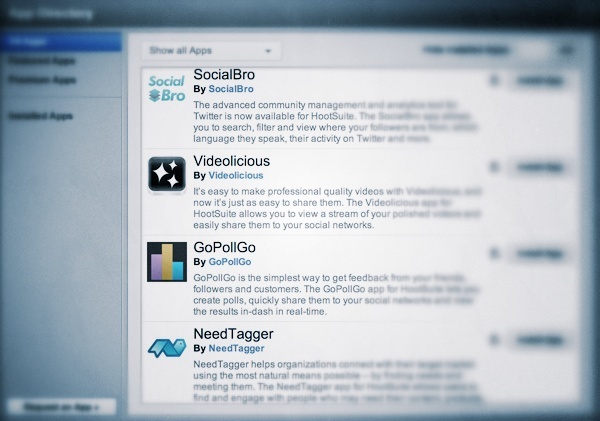 Download Link Open Hootsuite, go to TOOLS on the menu, APP DIRECTORY and scroll down to SOCIALBRO, Click INSTALL APP. Turn raw video files and photos into professional masterpieces and share with your community, family and friends. 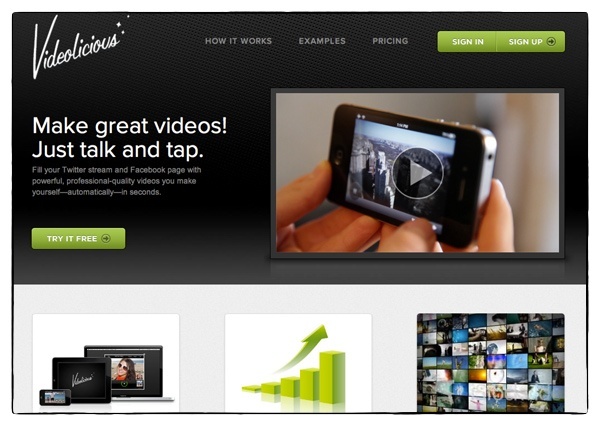 Download Link Open Hootsuite, go to TOOLS on the menu, APP DIRECTORY and scroll down to VIDEOLICIOUS, Click INSTALL APP. GoPollGo is a social polling application for Twitter. 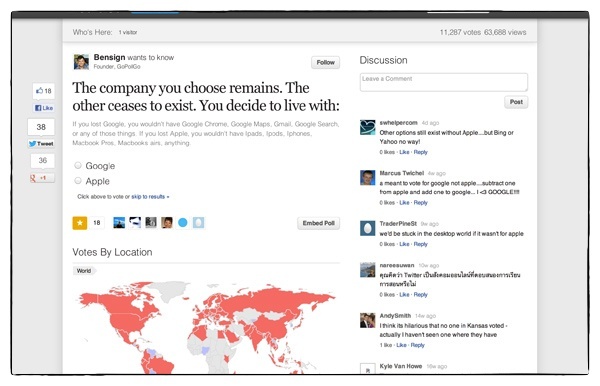 Helps you get feedback from your friends, followers and users. Download Link Open Hootsuite, go to TOOLS on the menu, APP DIRECTORY and scroll down to GOPOLLGO, Click INSTALL APP. NeedTagger scans your social streams for people expressing needs for your content, products and services. This application makes it so easy to get in touch with prospect customers, answering customer or followers questions, sharing your content and initiate conversations. Links shared through NeedTagger are tracked to measure your ‘Return On Investment’ (ROI). NeedTagger is ideal for lead generation and to build a list of prospect customers. Download Link Open Hootsuite, go to TOOLS on the menu, APP DIRECTORY and scroll down to NEEDTAGGER, Click INSTALL APP.